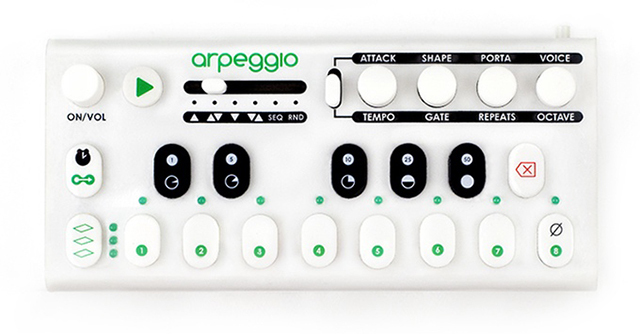 In this music tech news roundup, we check out the Akai MPC Touch, Moog Mother 32 Semi-Modular Analog Synthesizer, Novation’s Circuit Grid-Based Groove Box, Roland’s Boutique Series, and Arpeggio. Circuit is a new grid-based groove box driven by two Novation polysynths and a four-part drum machine, combined with an intuitive 128 step grid-based sequencer. The standalone box comes loaded with built-in effects, eight synth macro controls, four drum parameter controls, a library of patches, and heaps of other powerful features. Akai Professional has announced the release of the latest addition to the legendary MPC series, the MPC Touch. The new intuitive controller features multi-touch functionality that allows you to grab and pinch waveforms, draw midi events, adjust envelopes, chop samples, add effects and precisely set your controls using your fingertips. Combined with the classic MPC feel, sound and vastly improved pads, the Touch embodies the best elements of our past while taking music production tech into the future. The Roland Boutique series has just been launched, featuring all-new compact sound modules that recreate renowned analog synthesizers from Roland’s historic past. Powered by the acclaimed Analog Circuit Behavior technology, the limited-edition series includes three modules based on the JUPITER-8, JUNO-106, and JX-3P instruments from the 1980s. Loaded with hands-on controls derived from the original synths, each module can be used as a tabletop MIDI device or mounted in the optional K-25m Keyboard Unit to create a standalone compact synth.